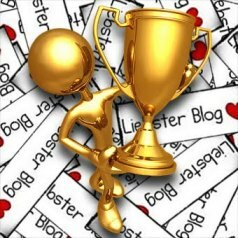 I would like to thank Kim at words4jp’s blog for including Free Little Words in the list of blogs she deems worthy of this award . She visits my blog daily and comments almost as often. I really do feel loved. 1. Post 11 facts about myself. 2. Answer the 11 questions posed by the nominator. 4. Pose 11 new questions for the newly ‘loved’ to answer. 1. what was your first job? Holly’s restaurant inside KMart serving food to lovely people who used to leave dirty nappies (diapers) on their food trays. 2. favorite subject in school (lunch and gym do not count:) – Art and Maths (the former I loved but wasn’t very good at and the latter I didn’t love but was very good at). 4. first pet (a rock or imaginary pet will qualify) – A guinea pig whose name escapes me (I must have truly loved it)! 8. to explore the depths of the ocean or the galaxy – Galaxy absolutely. I’m a star gazer. 9. do you prefer the first 3 Star Wars films (the original 3) OR the 2nd three Star Wars films – Neither as I’m not a Sci Fi fan AT ALL. I can hear the boos now. 10. your ultimate wish for all of mankind – No more wars or bomb building. 11. prefer winter weather or summer weather- After the heatwave we’ve had (8 days in a row over 30°C) give me some snow. We don’t get snow at all here so that seems like a nice idea. I’m sure all the snow dwellers suffering through blizzards will disagree with me here and think that I’m living in a tropical paradise. Since having my last award bestowed upon me I have made it my goal to search, seek out and find blogs that are outside of my beginning reading preferences. Some of these blogs I am new to and hope that they will accept the love that is being offered. If you’d love to sweeten someone’s day and show them what a darling you think they are have a look-see over at one or more of these blogs that are, in my opinion, all worthy of the beloved (Liebster) title to me. And finally the 11 questions for these awesomely amazing people to answer and give us a little insight into their psyche. Hang in there till the end. They start tame but then…….. Toilet paper over or under and are you a scruncher or a folder? What’s one thing your parent/s did that you swore you would never repeat with your own children and you have followed through with? If you could only see the world in black and white plus one other colour, what colour would you choose? Do you believe ‘half the fun is getting there’? Awww, thanks so much for sharing the love with us! We really appreciate it. No pressure whatsoever. What you do on your blog is amazing and deserved recognition. If you can in the future that would be amazing. If you need a hand, just ask.